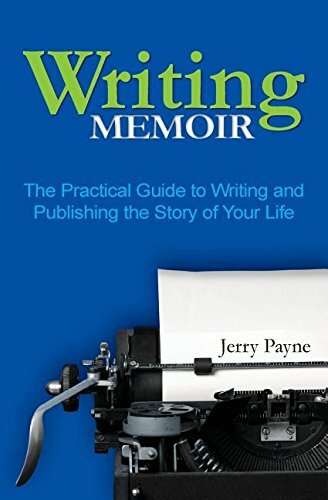 “Writing Memoir: The Practical Guide to Writing and Publishing the Story of Your Life” by Jerry Payne is a short and sweet a personable guide for memoir writing. It begins by inviting the reader to explore their reasons for writing a memoir. I loved that the author did this at the beginning because many writing guides do not make evident that the reason for writing will determine all of the major decisions the author will have to make during the writing and publishing process. Furthermore, this phase can even discourage the writer to move forward with a memoir, and maybe explore other genres for the story they feel the need to share. The author then moves forward by holding the reader’s hand and taking them through the process, not of becoming a famous published author necessarily, just a writer–one that can be proud and satisfied of being a writer. This is what I loved about this little blue book. It actually, guides the reader to find out what they really want, and then walks the reader through the process of taking their life experiences and manifest the best way to share it. Payne’s writing style is personal, informative, and easy to read. I was impressed by his ability to organize such a long process into a short, concise guide. The fact that he is actually a professional writer provides the reader the opportunity of learning from someone who has written many different types of life stories, and not just his own. I also liked how he organized all of the different steps and factors of the process and complemented the information with specific examples on occasions. His writing flowed wonderfully and allowed me as the reader to see the overall process painlessly. At the same time, it was easy to re-visit specific parts of the process. Overall, I not only found “Writing Memoir” by Jerry Payne to be very helpful to memoir writers but also to writers in general. A pleasure to read, it is an awesome resource for writers that should be part of a writer’s starting library!